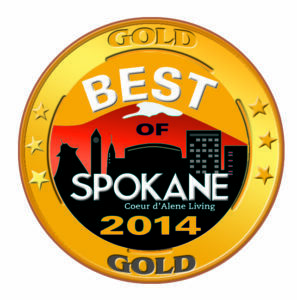 The Kidd’s Place Awarded Gold Award 2nd Year in a Row! 2014 was a wonderful year for us at The Kidd’s Place and it ended with quite the celebration! With a joyous grin, we are happy to announce that we have won the Gold award for the ‘best children’s dentist of the city’ a second year in a row, and we couldn’t have done it without our wonderful clients! 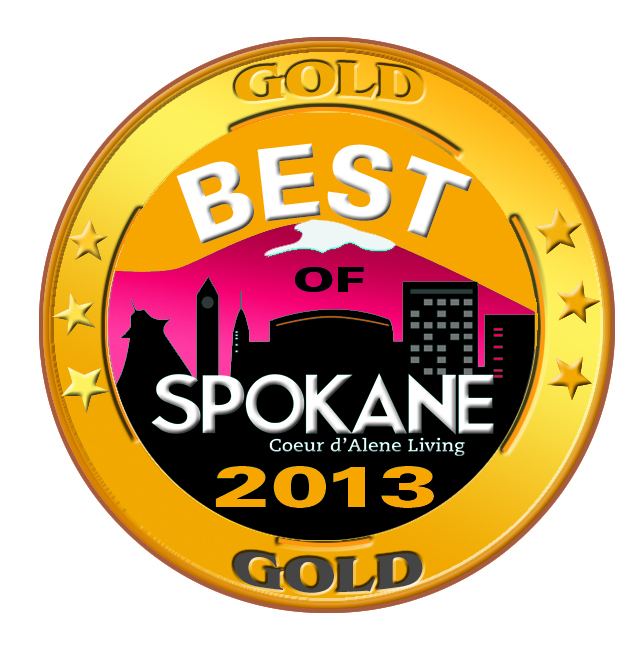 This year’s “Best Of the City” ballot was released in the June 2014 issue of the Spokane and Coeur d’Alene Living Magazine. Readers and citizens provided these results by generously taking the time to cast their vote. The results are in and the Gold award winners were showcased along with the silver and bronze winners in over 120 categories ranging from healthcare, to dining and entertainment. The Kidd’s Place also received this Gold award in the 2013 poll! We would like to extend a special thank you to our clients for making the Kidd’s Place a wonderful place for kids to receive their dental care. We also give a warm thank you to the generous voters in the 2014 poll, and to The Spokane Couer d’Alene Living Magazine. If you are curious about where to find the best mexican restaurants and bistros, or the best spas and gyms, consult the Best of the City annual guide to see what people have voted as the top hot spots to go! The magazine gives the cities of Spokane and Coeur d’Alene their shine and attention they deserve, as some of the best cities in the Northwest! Here at The Kidd’s Place, we are proud to provide a state-of-the-art, child friendly facility for the highest quality dental care available. It is one of our top priorities to protect the well-being of our valued patients and create an environment that encourages preventive care from infancy through adolescence, facilitates communication with families, respects privacy, encourages affection and promotes health. Thank you to the community for your generous participation in making 2014 such a great year! As we enter into a new year, we often find ourselves looking back on our accomplishments and failures of the year before. We look within and reflect upon the new, untouched year. It is important to include our families in our observations of our past year. Setting a list of New Year Resolutions can be a wonderful time to teach our children the value of looking to the future with optimism and hope. This year, make New Year Resolutions about bringing the family together. Doing this will help the family grow closer as they learn what’s important to each member individually. It will also help teach your children the value of settings goals for themselves. 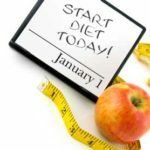 Vowing to stick to a New Year Resolution can also instill self-discipline and teach value of self-growth. Plus, it puts a positive focus in your child’s mind as they enter into the New Year and new semester at school. 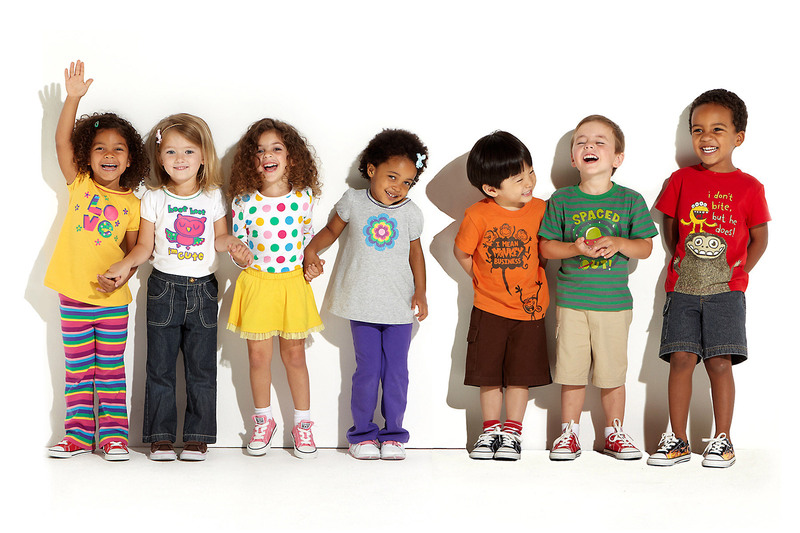 It’s important to make sure that each child’s goals are customized to their personalities and ages. This is where how well you know each child can be helpful as you can assist in guiding them towards areas that they need to focus on. For instance, maybe your eldest struggles with maintaining good eating habits and your middle child would rather be on the couch than playing in the backyard. After you’ve has each child make a list of things they want to improve on, make time to talk with each child individually in order to discuss their goals more specifically. Ask your kids if there is anything they would like to implement in the New Year that would help with bringing the family together even more. Maybe you’d like to start planning a monthly family outing to go hiking or bowling. Maybe you’d like to implement bi-weekly family nights where you play games or watch movies. You can also use this time to discuss how chores and systems for maintaining household duties have been working. Should they stay the same or do they need change? is each child holding up their end, or does some re-evaluating need to be done? Once you’ve come up with 3 or so family resolutions, make a fun poster that can be hung on the refrigerator or somewhere central to serve as a reminder to the whole family. Also, have each child make a poster for their individual rooms as well in order to keep their goals in the forefront of their minds. As the year progresses, help each child remember their goals by reminding them at appropriate times. Keep in mind however that New Year Resolutions are not written in stone. If a a goal one of your children has set is obviously not working for them by the time a few months have passed, then site down with that child and help them figure our a new and better way they can accomplish that same goal. Also, if by next December you find that certain personal or family goals still aren’t being met, don’t despair! 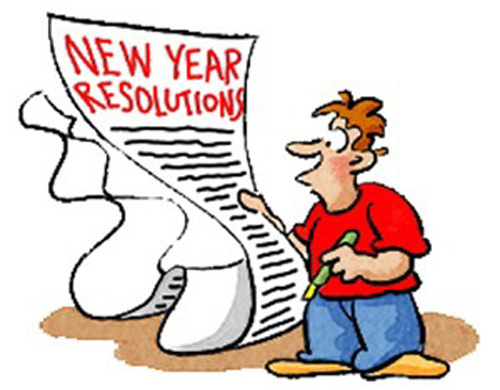 Remember that New Year Resolutions are designed to be fun and positive things. Encourage your children and help them reformulate un-reached goals for the next year. Keep the focus on moving forward. After all, the greatest benefit of setting these goals is that it brings the family together in a positive way that promotes communication and encouragement! 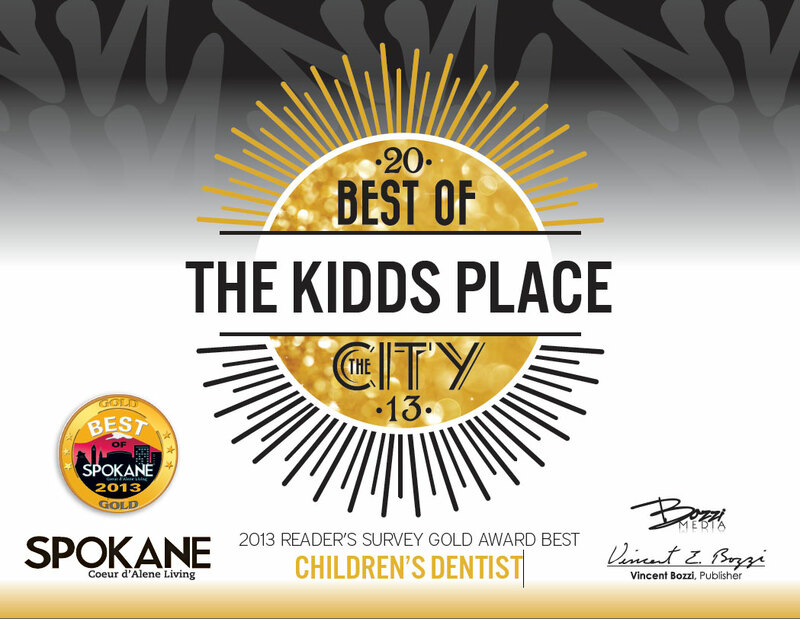 With a bright smile and much gratitude, it is a pleasure to announce that The Kidds Place Dentistry of Spokane was voted the Gold Award for the ‘best children’s dentist of the city!’ The Reader’s Poll of Spokane and Coeur d’Alene Living Magazine revealed The Kidds Place Dentistry is what it is, its the kid’s place to go! So lets break out some cake and prizes (but don’t forget that toothbrush!) to celebrate this achievement and express gratitude for the community’s generous participation. The Kidds Place Dentistry provides outstanding service for infants, children, adolescents, and special needs. Doctors and staff maintain the highest standards not only in dental care but also in providing a fun, safe, and comfortable environment that will promote a healthy outlook for children in their dental care. No wonder children are begging to go! The Kidds Place commits to helping children feel completely at ease with a diverse play area and fun, kid-friendly environment. Going to the dentist can be fun! Many parents wonder, when should my child see the dentist for the first time? According to the American Academy of Pediatric Dentistry (AAPD), a child’s first visit to the dentist should occur by his or her first birthday. Tooth decay, or dental caries, is the most common chronic infectious disease of children in the country. The Center for Disease Control indicates it is most common among individuals between 6 and 19 years of age, is four times more common than asthma, and that more than 25% of 4 year olds have endured at least one cavity. Despite the fact that 1 year olds typically have only about 8 to 10 out of 20 baby teeth, it is important for parents to schedule the “first well baby visit” as a preventive measure. At this first visit, we can gently introduce the child and parent to the pediatric dental environment, discuss proper home-care and diet, and evaluate the child’s growth and development. Parents are oftentimes unaware of the early signs and potential problems that can lead to cavities. For instance, juice and milk are common causes of cavities in young children, and if a child frequently falls asleep with a cup of either in his or her mouth, this can result in severe consequences for baby teeth. This information can assist parents in improving their child’s dental health in the future. So, what can you and your children expect at a first well baby visit? A friendly and explorative experience, rather than a painful and dreadful one. Experts agree that it is also important for parents to find a “dental home” for their children, and doing this at a very young age decreases the probability that the first visit will be occasioned by an oral emergency. Parents should seek out an office that is: (1) child- and parent-friendly; (2)knowledgeable about young children’s oral health, growth and development; (3) responsive to you; (4) gentle and kind toward your child – even if your child fusses when his or her mouth is examined; (5) focused on your child’s specific needs; and (6) provides specific advice as to how to care for your child’s mouth. Pediatric dental offices have child-friendly waiting rooms, age-appropriate toys and games, and child-sized chairs that can help patients fell more comfortable. Don’t worry, it’s not too late, some parents may not want to bring their child because they are afraid that their child might not sit still or have a bad experience. We try to make the first visit a friendly and positive one. It’s important for the patient and parent to build trust in us. 1. Use a soft infant toothbrush or cloth and water as soon as the first teeth appear. Use a “smear” of toothpaste to brush a child less than 2 years of age, and a “pea-sized” amount from 2-5 years. Children should spit out and not swallow excess toothpaste after brushing. 2. Brush after breakfast and before bedtime, and do not give your child additional liquids after they brush at night. Help your child brush in the morning and in the evening. 3. Floss every night, because that is the best way to clean in between your teeth. 4. Don’t let your child sip on juice between meals, and avoid chewy and sticky foods such as candy, gum, fruit chews, fruit snacks, gushers and gummies. 5. The bacteria that cause cavities are contagious, so don’t share utensils or drinks with your child.